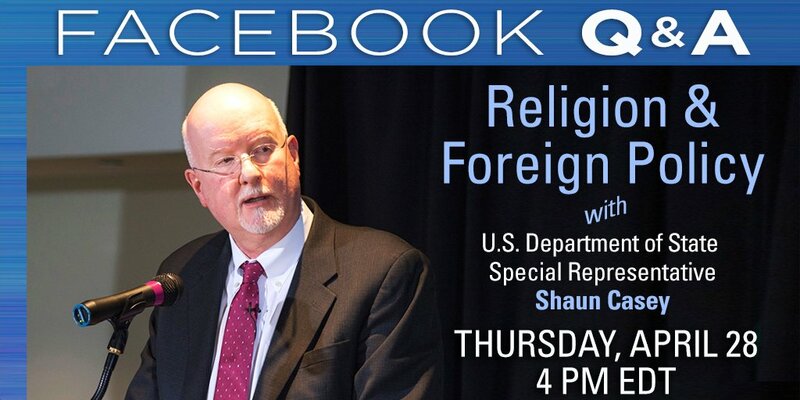 "I asked Shaun to take on sort of three missions in this effort: to advise me on how religion impacts U.S. foreign policy priorities, to support the entire State Department in better understanding religion and engaging religious communities, and to establish wider and deeper ties with key stakeholders across the globe. In fulfilling those mandates, Shaun has pulled together a team of experts who have met with thousands of religious officials from five continents. " Walid Phares (Fox News Collaborator): "The first institution should be Al-Azhar University, the equivalent of the Vatican in Egypt." "And second, the Organization of the Islamic Cooperation, it represents 57 Muslim governments."